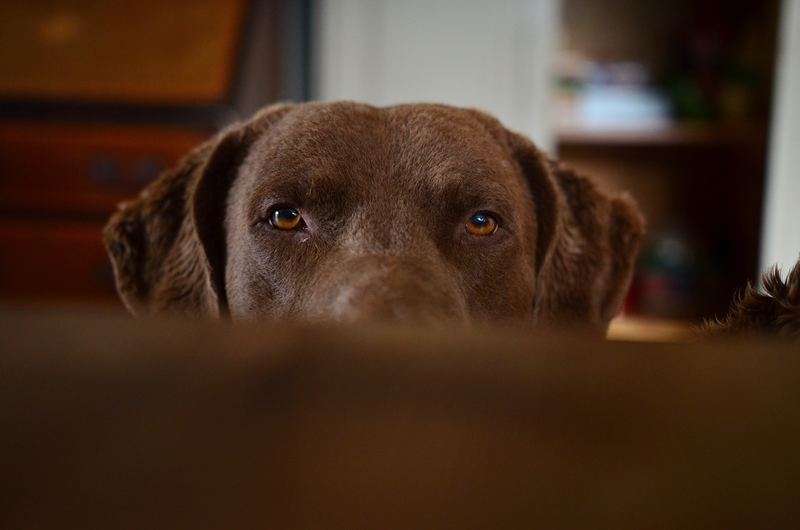 Chesapeake : “I think therefore I am” …..more tricky to train, maybe? Your eyes meet across the small pond, both minds set on the challenge ahead, both thinking exactly the same thing but wanting very different outcomes …..Is the Chessie going to come back with his retrieve through the water on this warm summer day as his handler wishes? Or Is he going to mentally assess a more energy saving option and take the land bridge home??? I have found myself, as a handler in this predicament on many occasions.Watched as Labrador after Labrador diligently took the same line back as they took going out without a flicker of questioning but knowing that even before I cast my dog across the water he is already reading the landscape with his eyes and doing mental calculus on how to get home better. The Chesapeake is a thinking dog. Their survival as a breed often working in life threatening weather conditions out of sight of their handler meant that the ability to read a situation was imperative to getting both them and their quarry home safely. They needed to know they had options, however, it is this very ability to think through every life scenario that often mistakenly lands them with clichés and stereotypical labels such as, “difficult to train”, “hardheaded” and “not good enough to Field trial”…. In most cases, if you’re lucky, you will get fair warning of this ability of the Chesapeake to think ahead and weigh up His options. It will be evident from the moment He opens his eyes and totters about the whelping box checking out the perimeter. He will lift his tiny muzzle above the lowest point in the box where Mum skips in and out. Rather than wait patiently for her return he learns very quickly that there is another option….He can simply follow that wonderful smell of milk and fill his belly quicker. These are the Chessie babies that, because their need to figure things out comes early in their development, will train you as a handler and an owner to walk slowly and take your time through training. 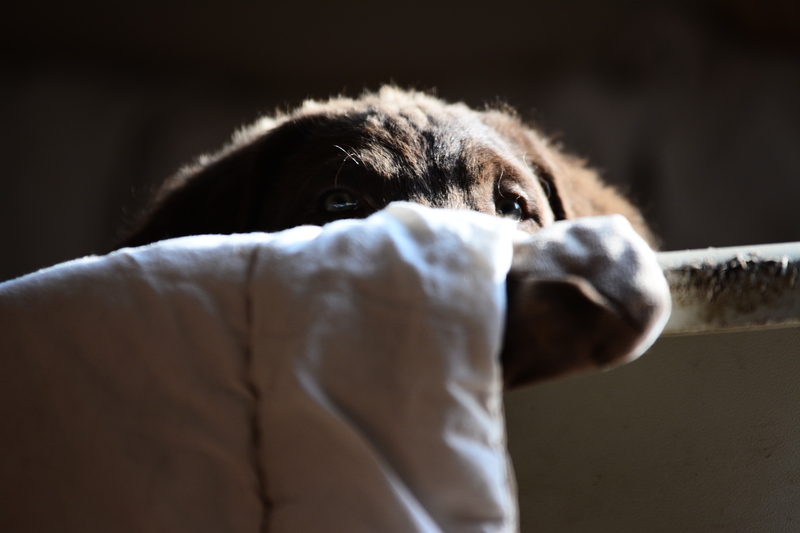 ….oh but then there is the other type of Chessie puppy…. So there you are all fuzzy and warm, basking in the glow of the newness and excitement of having your new Chessie puppy. He or she no doubt is smart,( smart as in human terms,learning things quickly that please you ), and pretty soon you are proudly able to list off all their accomplishments of how they have mastered sit, wait, stay, heel and come all within a week of ownership. You will talk about how friendly and sociable they are around other dogs, how they love all dogs large and small. 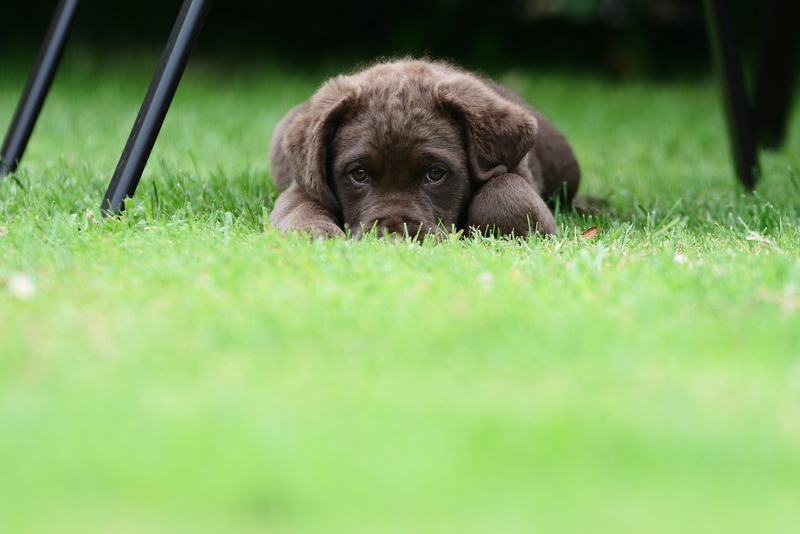 In fact I can pretty much guarantee that doubts will even cross into your mind about whether the warnings and cautions your puppy’s breeder gave you about taking your time in training, about the importance of socialising your Chesapeake puppy properly are really true at all…. Time passes, and buoyed with the confidence of how easily and eagerly your young dog took to basic training you decide to increase the pressure and you again are pleasantly surprised how easily he starts to run lines, obey some whistle work, maybe taking a left and right cast AND still only 9 months old !!!. What happened ?? Where did it all go wrong you may wonder ?? Where in god’s name has that wonderful puppy that you worked so hard to mould and train gone to and how do you get him back? And the answer is simply your Chessie just realised he has options other than what you ask him to do. His maturing mind, the one needed to help him survive the brutal foreshore currents in times past, has kicked into gear in readiness for his future role as a working widldfowling dog. This is the hardest stage, I think, in Chesapeake development for both Dog and Owner. It is the stage that I ,as a breeder, am prepared to get the most calls about and hope that in the long conversations that follow I can offer some insight into what can seem like a neverending episode of ‘ dog behaving badly’. So, as a breeder I will tell you that this is the time your young dog needs your guidance most,( even though He thinks He doesn’t). Tease out the strands of his training, allow him to think through each small aspect of what you ask him to do by shortening your sessions and breaking them down more. Allow him to question and think things through so he can understand. And when that doesn’t work guide him some more. 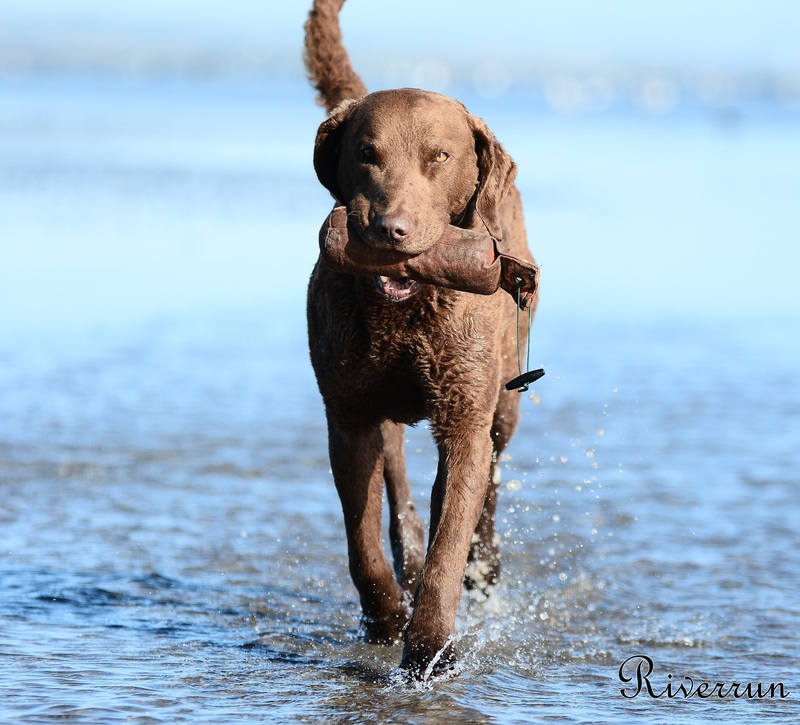 You will always have a thinking Dog, it is in their DNA but I believe when a Chesapeake fully understands what is being asked of Him or Her they give their very best performances. 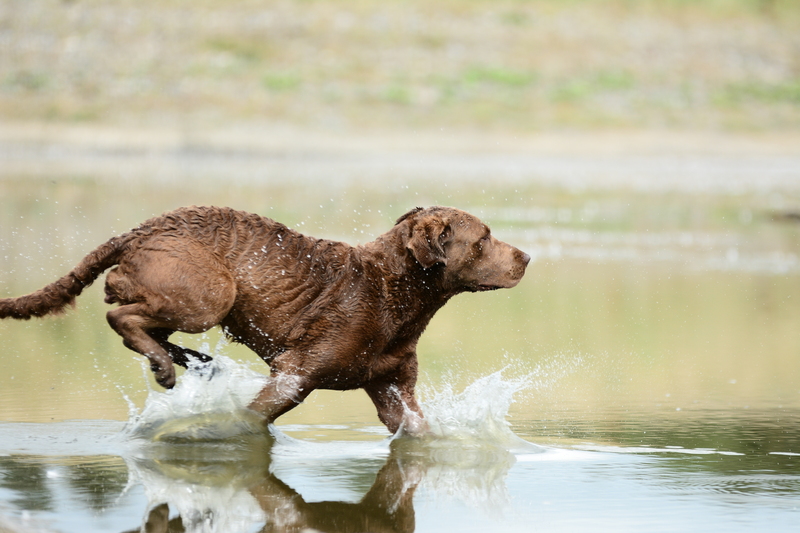 Sometimes though all the cajoling in the world will not win out over a Chessie mind that knows the shortest and safest route home with a retrieve is by land when your eyes lock across a small pond in Summer…..but that’s another story. 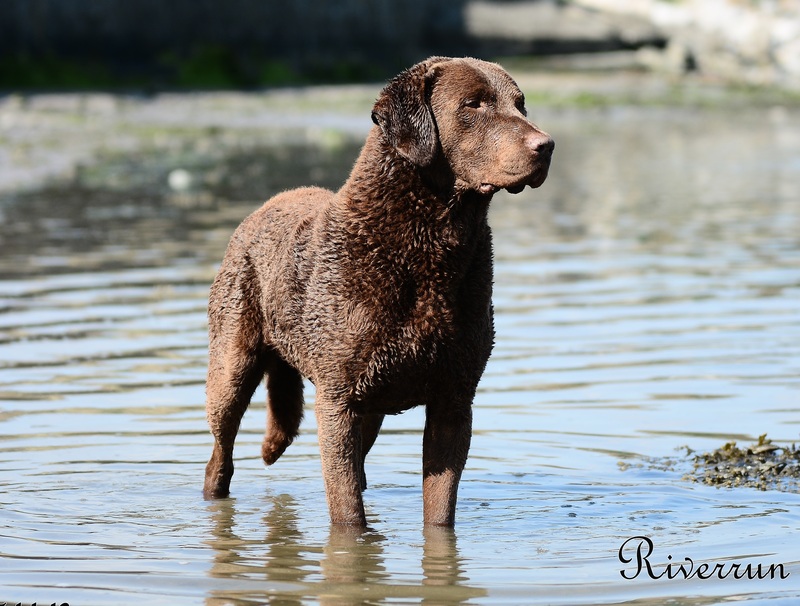 This entry was tagged Altiquin Labradors, chesapeakes, retriever training. Bookmark the permalink. Dead center bullseye, M’am. Excellent write-up, and one each breeder should ‘hand out’ with the puppy, to the new ‘owned’ humans.